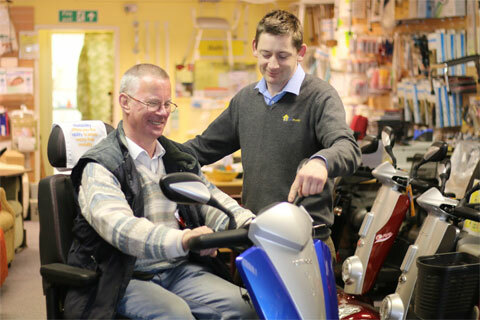 All our outlets are now offering a hire service for Manual Wheelchairs & Mobility Scooters. So if you are planning a holiday or short break in Ireland or abroad consider renting a mobility scooter or manual wheelchair. Ideal for family or friends visiting that have mobility problems. Maximum range is 8km (5mi.) on a full battery charge. Top speed of 6.4kph (4 mph). Adjustable armrests and swivels 90 degrees. 2 x 12AH sealed lead acid batteries (suitable for air travel). Fits into 99% of car boots.